The floor of this industrial building, production area and warehouse, was very old, uneven and rough. The old substrate had to be renovated and made even. 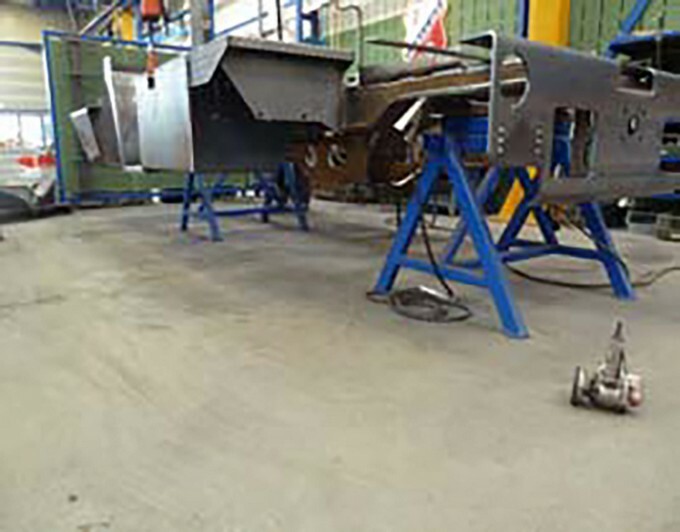 The building owner wanted a fast and durable solution with fast application time in order to avoid long nterruption of his production process. 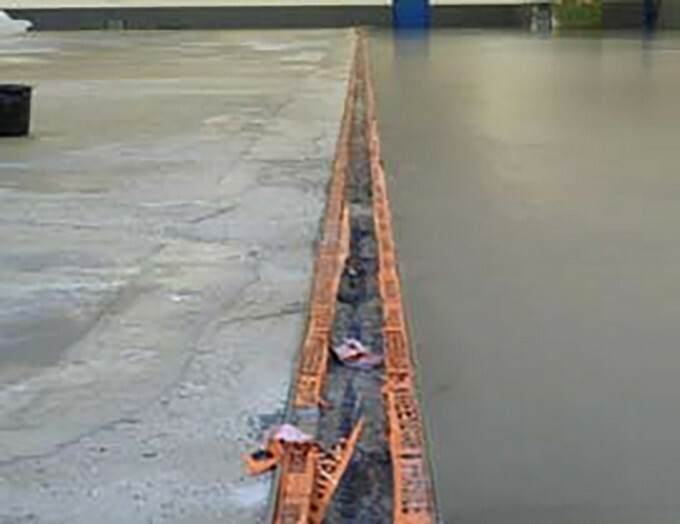 The new production assembly line has to positioned on a very even surface, therefore a self-leveling screed with ultra high eveness was needed. The old substrate is shotblasted and treated with the primer weberfloor 4716. After that the floor screed weberfloor 4610 is mixed and pumped in a thickness of 8-10 mm. 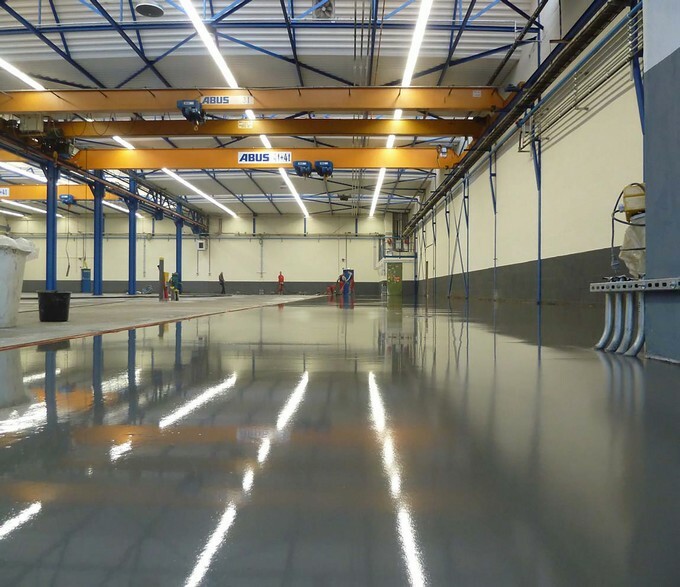 Finally the industrial floor screed was treated with the surface hardener weberfloor 4720.